I used Daffodil Delight card stock and the Flower Shop Bundle to make this version. I also used the leaf stamp from Secret Garden. 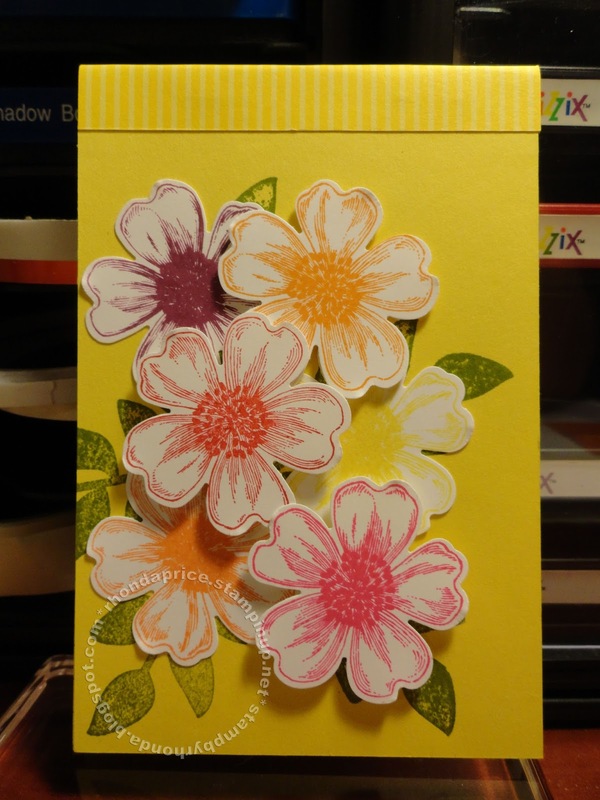 Labels: Daffodil Delight, Flower Shop Bundle, Late Night Stampers, Secret Garden, Stampin' Up! I love this beautiful stamp set. Well done Rhonda. Thank you for your visit. Thanks for participating in out Late Night Stamper blog hop as well. This is really cute Rhonda. Love the bright colors and love that you did a "male" version. Thanks for sharing.